While social media giants were too preoccupied with “’policing” conservatives, they may have overlooked who’s really posing a clear danger online. A Muslim migrant was using social media all along to help recruit members and sympathizers for terrorist group ISIS. Federal prosecutors said Al Safoo faces one count of conspiracy to provide material support and resources to a foreign terrorist organization. FBI agents said Al Safoo is a naturalized citizen who was born in Iraq and moved to Chicago in 2008. Federal authorities also accuse Al Safoo of being an active member of the Khattab Media Foundation which serves as a propaganda outfit with an oath of allegiance to ISIS. Agents said Al Safoo worked with several unindicted co-conspirators in the propaganda outfit. Khattab spreads ISIS propaganda across several social media platforms including Twitter, Facebook, Youtube and another one which for an undisclosed reason federal authorities also declined to identify. 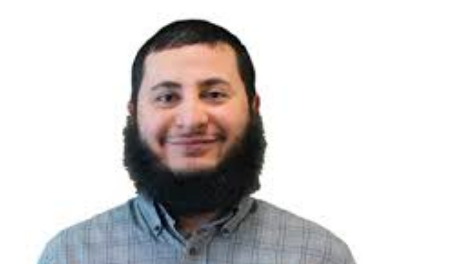 Al Safoo operations were further uncovered when he invited a purported ISIS sympathizer in March who was actually an undercover federal officer to join a Khattab discussion group. The undercover officer discovered a veritable trove of ISIS propaganda then. Al Safoo is alleged to have contributed in the creation and dissemination of ISIS propaganda. The video also shows a gift under the Christmas tree that contains a bomb with a timer ticking down before cutting to a news clip of a terrifying mass shooting taking place. This guy should win the 2018 isis recruiter of the year! And his prize should be a drag around the pig pen before being water boarded with hogs blood until he gives up all converts and his network. Once we are positive he is of no more use let the hogs eat him. Fagbook jewtube and anyother platform that ignored his criminal acts while banning truth should be named as co conspirators. But since they are mostly all Jesus killers the best punishment would be massive fines. They would rather loose a limb than a handful of shekels! I live in a now muslim infested area outside of Dearborn, Michigan. The little city of Melvindale has become East Dearborn. Always armed and watching them closely, it’s only a matter of time before they bring it. The islamic center has massive meetings every day at 4:00 am. When they leave in their vehicles and if they see you, the one index finger goes up as they shake their head “yes”. Wake up minutemen, wake up!! We should have no tolerance either of those who believe as they do. Remember Muslims preach conversion or death. Even amongst themselves one group may see another group as not adhering well to Muslim doctrine & kill those Muslims which the deem as not hard lined enough. Toleration of religion`s that promote death to non believers is idiocy in it`s finest form. Soon, it will be either them or us normies that will be persecuted. I for one will never capitulate to these beasts. Sharia law my asz let`s give them Justice old west style. Get a rope grease it in hogs fat & send them to hell. Let them meet allah & all his devilish concubines!